This superior level of barrier protection extends to the barrier permeation of viruses. 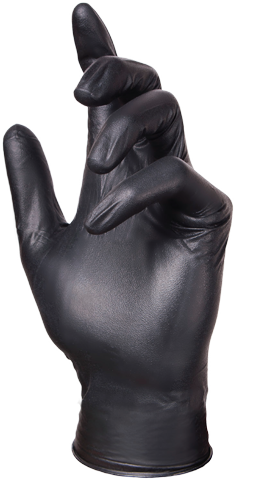 Glove Plus Prime Black nitrile gloves have been tested to, and passed, ISO 16044b:2003 “Resistance of Materials used in Protective Clothing to Penetration by Blood-Borne Pathogens” (viral testing). The component glove material in Glove Plus Prime Black also comply with 21CFR 177. 2600 which means that thee gloves are safe for use with food. Available in sizes X. Small (5-6) to X. 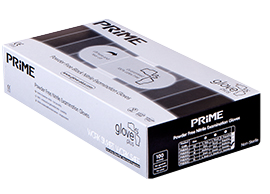 Large (9-10), Prime gloves are packed in dispensers of 100 gloves, 10 dispensers per carton.